When Matt and his cousin Luke, a notorious bounty hunter, are besieged by the Mexicalaros, they know that they must fight their way to victory or die trying. Everyone knows the Mexicalaros: the renegade gang who terrorize ranches and settlements on both sides of the Rio Grande are feared by all. Now, the cousins are forced to use that fear to recruit help from both sides of the border and to lead a counter-attack on the deadly Mexicalaros. But will the Mexicalaros hit back? And how many must be slain before peace can return to the border? As Matt and Luke hunt for the leader of the deadly gang, the time has come to find out what the cousins are made of…. 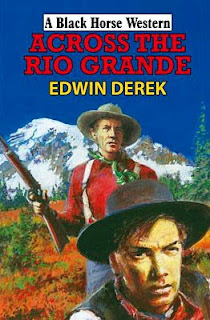 As far as I can tell this is Edwin Derek’s sixth Black Horse Western (there’s no list of previous books in this one), which have appeared sporadically to say the least, the first published way back in 1996. I have read, and enjoyed, his previous book, The Avengers of San Pedro. Like Edwin Derek’s last book, this one features quite a bit of gun information, mainly the difference between Henry’s and Winchesters and how much better they are than Springfield rifles. There are lots of questions early on that will soon have the reader puzzling over the answers along with Matt Connelly, such as why would the Mexicalaros steal branded cattle when there are so many unclaimed animals wandering the land freely? 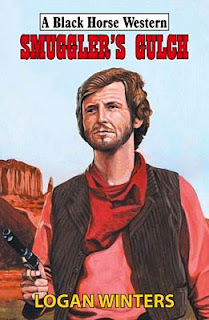 There’s plenty of action, particularly after Luke’s wife and her family are kidnapped, in fact the book almost becomes one long running gunfight from there until the end. All this is told at a swift pace and before you know it you’ll be turning the final pages, and, perhaps like me, hoping it isn’t another couple of years before another book appears carrying Edwin Derek’s name. Across the Rio Grande should be available now from all the usual Internet sources. 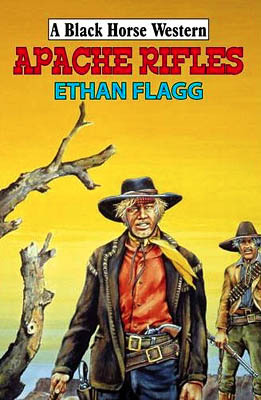 When Brick Shaftoe receives an urgent cable from his brother, he hurries to the town of Brass Neck in New Mexico. For it is there that the Apache chief, Manganellis, is being supplied with guns to terrorize the small ranchers. Soon after, Brick discovers that his brother has met with a fatal accident and he is sure that this is no coincidence. Shrugging off his sorrow, Brick vows to find out the truth about what has been going on in Brass Neck … no matter how rocky the road is along the way. Ethan Flagg sure piles on the problems his hero has to tackle, not only is there the death of his brother and the gunrunning, there is a bunch of mean cowboys, and a homeless Mexican boy searching for his elder sister. It soon becomes obvious that all these storylines are going to combine for the final showdown. This is the first book I’ve read by this author, who also writes BHW as Dale Graham, and it soon became evident he enjoys his words. Here’s an example: ‘Hartley renewed his glass, then imbibed a copious gulp before answering.’ Now there’s nothing wrong with this, it’s just that it took me a chapter or so to get used to his style, once I did the book pulled me into its plot and I became eager to find out just what would happen to the many characters. 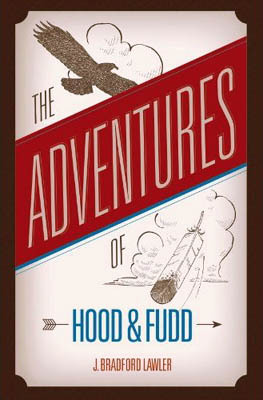 The author also likes colourful names such as, Flapjack Turner, Jug Lassiter, Buckweed Jackson, and Bareknuckle Beesley. Descriptions are well done be they of surroundings, character descriptions, or action sequences. The Apache attack on a small ranch being particularly effective. There were surprises along the way too, as in who was killed. There is also a neat twist at the end after the reasons for the ranch attacks are exposed. Apache Rifles is available now from the usual Internet sources, even though it’s official release date is right at the end of the month. 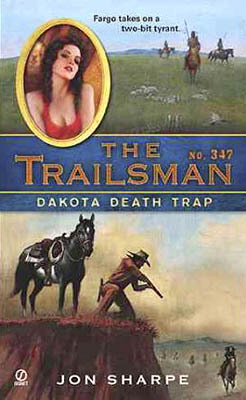 The Dakotas, 1861 – The Trailsman is caught in a web of deceit. Fargo is trying to lose a party of scalp-hunting Sioux when he comes across Jasmine Honeydew – a pious woman whose devotion to saving souls has incited the wrath of Abe Mitchell. Mitchell likes the small town of Hapgood Pond just the way it is – full of liquor, ladies, and lots of profit for him. But the Trailsman isn’t going to let a lovely lady of the Lord be pushed out of town without sending someone to hell…. Right from the start this book is filled with action, and if that isn’t enough to keep the reader turning the pages Jon Sharpe (in this case David Robbins) starts hinting that all the characters Fargo meets may not be who they say they are. After the first body is found with an Arkansas toothpick buried in his neck, the Trailsman comes under suspicion. As the murders mount up, so did my thoughts on who was the killer and I’m afraid to say I got it completely wrong…which means the author does extremely well at disguising the real culprit. And as for the reasons behind these killings, I had no idea, not even coming close with my guesses at solving this mystery. The answer making me wonder why, to memory, I’ve never read anything similar in a western. Descriptions are excellent, so are characterizations, dialogue is equally as well written – often proving to be very funny. The pacing of the story is superb and builds well to the final surprising revelations, which include a last twist to the tale. If you enjoy fast moving westerns with plenty of mystery included then this is a book you should make sure you read. 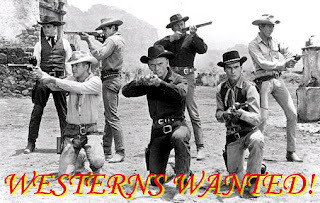 Solstice Publishing, who are republishing George G. Gilman's Edge series are looking for more western submissions. All types of westerns, including traditional, spaghetti style, or adult (think Longarm) will be considered. Also of interest are those that cross genres, for instance horror westerns or fantasy westerns. For more information check their site out here. The dark-eyed lady wanted wandering Jake Staggs to collect the bounties on twenty members of an outlaw band. Maybe she was a little crazy, but Jake had no choice but to try things her way since his only other option was the hangman’s noose. Anyone, even a wanted man like Jake, could ride into the rustlers’ camp at Smuggler’s Gulch, but if Kit Blanchard didn’t want you to leave then you weren’t going to make it out alive. Jake had cheated fate there once before and now he was ready to make a second attempt for the sake of a madwoman. Of course, somewhere in the distance Marshal Trouffant would be waiting to hang Jake if he failed…. Logan Winters sure knows how to grab his reader’s attention. Here it’s with the amount of dilemmas that Jake Staggs finds himself confronting, all of which could see him ending up in jail, or dead. As well as outlaws he has to deal with three women, two of who prove to be quite mad. All these characters, including Marshal Trouffant, are extremely well portrayed. The plot swept me up and I found the book difficult to put down before I discovered just how Staggs was going to get out of the mess he finds himself in. Winters also adds a few moments of humour, namely when Staggs tries to get himself arrested, thinking being behind bars will allow him to escape the troubles the wait for him outside. There’s plenty of action, some surprises as to who kills whom and why. The final showdowns coming across in believable ways, and not just as a convenient way to solve Staggs problems, neatly tying up all the threads to the fast moving story. 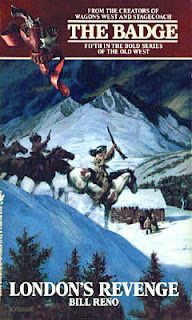 Logan Winters is a pseudonym for author Paul Lederer, and for fans of his work this month proves to be a treat as Hale are also publishing a second book by him called Long Blows the North Wind put out under his other BHW pseudonym; Owen G. Irons. Both of these books have an official release date at the end of the month but are already available from the usual Internet bookstores. Fourteen-year old Wade Tretter watches in horror as outlaws murder his parents on their small Missouri farm, a few days before the end of the Civil War in 1865. Wade’s father trained him as a farrier but when his father dies, Wade sells the few cattle they have left and heads west to find the killers. After killing two of them in the spirit of retribution, Wade finds the last two men posing as model citizens in a small Kansas town. How can he beat the odds and bring these powerful men to justice without hurting their new families? 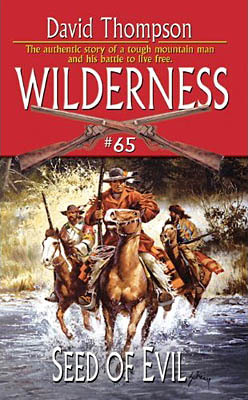 As far as I know this is Chet Cunningham’s second Black Horse Western, his first, Survival Trail, was published way back in 1995. Chet Cunningham has had many westerns published in America under his own name and a fistful of pseudonyms, and the majority of those I’ve read I’ve enjoyed. Wade’s War is a much longer book than usually published as a BHW. It has the same number of pages but they are filled with much small type, having at least twice as many word per page than expected, even the chapters start a few lines down from the previous chapters end rather than on a new page. The first part of the book covers the killing of Wade’s family and his tracking down of two of the killers. Quite a bit of time is spent in various towns where Wade needs to work to keep him in money. The pace of this portion of the tale is good but the story really picks up in momentum when Wade arrives in the town the last two killers have made their home. Wade’s desire not to hurt the killers’ family prove to be an interesting quandary for both Wade and the reader. Cunningham really keeps the reader guessing as to how Wade will achieve his aim. As well as this there is the mystery of what the remaining two killers are doing. This latter part I guessed as I’ve read many similar plotlines in other books written by Cunningham, namely the Spur series he wrote as Dirk Fletcher. Working this out, though, didn’t spoil my enjoyment of this book. 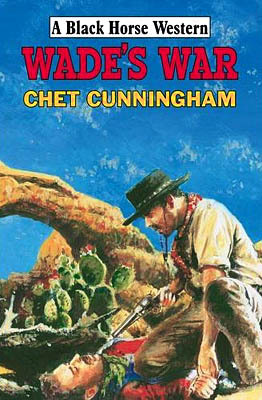 Wade’s War is a must read for fans of Chet Cunningham’s work and should prove to be an entertaining read for people trying him for the first time. The book is officially released at the end of the month but should be available now. The King family has always appreciated the remoteness of their valley deep in the Rocky Mountains. There, they have all the freedom they could desire. But the long trip to Bent’s Fort for supplies is one of the few downsides. All that changes when a newcomer opens the first general store in their region. The mountain men and scattered settlers are delighted—until people start to disappear, and dark whispers hint that a seed of evil has taken root in the wilderness. Right from the opening chapter David Thompson hooked this reader with the question of just what kind of evil does the main bad guy dish out. Of course this question isn’t answered until much further into the story and by that time other plot threads had pulled me deeper into the tale. Seed of Evil sees the return of one of my favourite characters from the series: Chases Rabbits, his struggle to understand the white tongue adding many laugh-out-loud moments. And for those who’ve followed this series for a long, long time, Chases Rabbits isn’t the only return, this other proving to be even more of a welcome surprise, although I’m not going to reveal who that is here, you’ll have to read the book yourself to discover just who it is. One of the trademarks of this series is the author’s inclusion of very strong female characters and this book is no exception. Here we have a group of Crow women that soon become the characters the whole story revolves around. Raven On The Ground being particularly memorable. I’ve already mentioned that there are moments of humour within the story but this wouldn’t be a Wilderness tale without many encounters with the more savage side of life, be they threats from human foes or wildlife, and this book offers plenty of those too. In fact Geist’s sudden, and unexpected, killing of one of the Crow women sure shows how brutal this series can be at times and in my mind is one of the strengths of the Wilderness books. Once again David Thompson (David Robbins) provides the reader with another excellent entry into this fast moving, action packed, series. Note: As has been discussed on many blogs and message boards Dorchester/Leisure has stopped producing mass market paperbacks, switching to ebooks with September’s publications. I read Seed of Evil on my computer using the free Kindle reader download provided by Amazon, which proved to be very easy to use. This spring the annual Sun Dance is without joy. The buffalo – upon which the People depend for their survival – have not returned with the greening of the grasses. While the holy men gather to find a way to bring back the herds, Red Horse, a young medicine man of the People, consults the Story Skins and is granted an extraordinary vision of a majestic white buffalo. Joined by Digging Owl, a medicine man from the Southern Plains, Red Horse sets out on a wondrous and perilous quest in search of the legendary beast – a quest for survival from which, it is prophesied, one of the two friends will not return. Don Coldsmith continues his saga of his fictional tribe by exploring the devastating effects the disappearance of the buffalo would have on them. 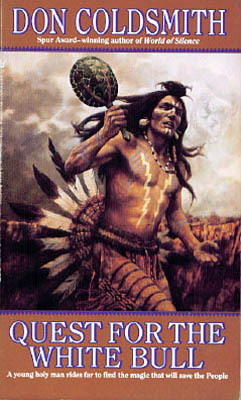 He creates a great sense of worry through his characters mainly through the desperate hunt of Red Horse to find the white buffalo of his vision. Red Horse must travel through new lands, deal with people from unknown tribes, and work with Digging Owl to fulfil his quest. Coldmith creates a wonderful friendship between these two, a friendship that is built on a backbone of mistrust, neither wanting to admit why they are tracking the buffalo. Both have different agendas, both wanting it to end differently, both fearing it could mean having to face each other in conflict. I did feel it a shame that Don Coldsmith has Red Horse confront two separate trios that are made up of the same type of people, one who wants to kill Red Horse and the other two ready to listen. Both encounters are resolved in similar ways too. By far the best meeting is with an old woman who lives in the middle of nowhere, a woman who prophesises the death of either Red Horse or Digging Owl. In her, Coldsmith has created a very memorable character, one I’d like to read more about. Maybe I will as the series progresses. The discovery of the buffalo leads to dramatic and very visual scenes that brings everything to its inevitable conclusion and left me eager to read the next book in the series. To a violent land, a frontier yet untamed, came a man who wore a badge of law and order. He faced the myriad dangers and paid the price in blood to become one of the most enduring heroic figures of the old west. When the government forces the Van Horn clan to sell a large part of their hard-won ranch to the Crow Indians, the Van Horn’s don’t like it one bit. They take matters into their own hands to avenge their “honor” and save their failing ranch by stealing a federal payroll. Sheriff Matt London wrestles the situation under control when he captures Barth, patriarch of the treacherous Van Horn gang. But the younger Van Horns won’t sit still for that. They are trouble-hungry enough to kill the son of the local Crow chief, take London’s wife hostage, and force London to decide between his duty as a lawman and the life of the woman he loves. Bill Reno packs a lot into this book. Each incident seeming to lead to two more dangerous, and often tragic, problems for Sheriff Matt London to deal with. Most of these involve the Van Horn family in one-way or another, some of whom relish killing others for the hell of it. Then there is the forbidden love between Holly Van Horn and London’s deputy, Bill Baker, which proves to be just as dangerous as anything else. The characters are well drawn, be they good, bad or indifferent. Some of the Van Horn’s, in a way pushed into their desperate actions by events they are powerless to control, struggle to accept what is happening to their family, and Bill Reno creates some excellent tensions between them, particularly when a prank goes horribly wrong. Just how strong is the bond of family love between them? The action comes thick and fast and is well described, as are the descriptions of people and land. With so much happening the pace of the story is breath-taking. Even though the twist at the end was a bit to easy to forecast it didn’t in any way dampen my enjoyment of this book. The Badge series ran for twenty-four books, and the author writing behind the pseudonym of Bill Reno is Lew A. Lacy. If all the books are as entertaining as this one then I’m really going to enjoy reading this series. Get a copy here . Hood has picked the wrong time to return to Iron Gate. The town, plagued by the attacks of a dangerous mountain lion, is on edge. Worse yet, a mysterious stranger confronts a gang of outlaws – including Emmett Stone, the man who murdered Hood’s father four years ago. The year is 1888, and rejected by those who call him only “Half-Breed,” Hood must figure out where his allegiances lie. What does it mean to be both white and Cherokee? How can he balance the urge to avenge his father’s death with the wisdom passed down from his grandfather, Chief Namar? Hood was driven out of town four years ago, but this time, he’s resolved to stay, and, if necessary, fight to reclaim his family’s homestead. The deck is stacked against him, but he finds an unlikely friend in Ruben Fudd, a fellow woodsman and tough rodeo competitor. Hood and Fudd should fear for their lives, but they are determined to stop at nothing until justice is served and the safety of Iron Gate is restored. This book is aimed at a young readership, teenagers probably. The heroes of the title being of this age too. Both of them are extremely well created characters, as are the other main players in this tale. The stranger, who insists on being called only T.R., adds intrigue to the story, and his true identity came as a welcome surprise. J. Bradford Lawler writes well, with a smooth flowing style that is easy to read. His chapters are, mainly, short and each one is headed by a beautifully sketched pen-and-ink illustration drawn by the authors’ sister, Kelly. The book doesn’t really contain any bad language – just the once that I noticed. There are morals, mostly disguised as Cherokee wisdom, which didn’t come over as heavy-handed, as is often the case, but as a natural element of the storyline. Lawler also has fun with some of the spoken lines, borrowing from Norman Greenbaum’s song “Spirit of the Sky” in one case, which had me grinning. As did one of the train drivers’ names: Casey Jones. The story builds well with all the different plot threads coming together for the final shootout as outlaw cowboys and the Sheriffs posse clash in an exciting gunfight. The mountain lion also has a part to play, and Lawler uses misdirection superbly in that the big cat doesn’t attack whom you’d expect. At the end of the book J. Bradford Lawler does leave one thread dangling, which indicates that he’s got a second book planned, a book I’ll be keeping an eye-out for. At the time of posting this review you can buy the book at a discounted price directly from the publishers here.